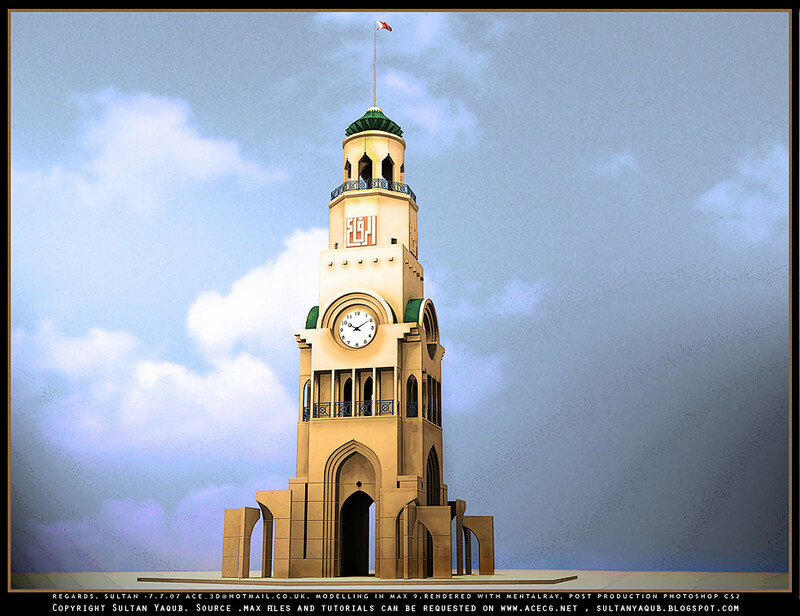 Riffa Clock Tower final render. Modelled, textured and rendered in 3dsmax 9. Later the background sky was added in Photoshop CS2. The beauty of 3d is this building can be rendered/rotated and seen from any angle possible. Test renders of the 3d scene while i was working on it. I aslo did a Artitectural Visulaztion of a Palace design in which i used some elements from the Riffa Clock Tower, Bahrain. High resolution 300 dpi versions of this image are availbe upon request.